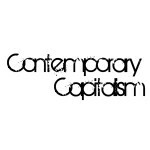 Contemporary Capitalism Part 2: Work, Time and Precarity. Part 2 is given by Patrick Bresnihan and focuses on the precarious nature of employment for many college educated people that exists today, and how this has led to a blur between work/free time and an amount of self exploitation. PREVIOUS Previous post: Contemporary Capitalism Part 1: Welfare to Debtfare.